Depression is a difficult illness to deal with, it can affect the way you feel, what you are able to do and can influence the way you live, too. I can identify with a link between depression and clutter, can you? There is not a quick fix or a bandage that you can apply when it comes to depression. It takes time for depression to become noticeable, it takes time to heal. Often, with many bumps in the road. Sometimes depression can have an effect on your home too! 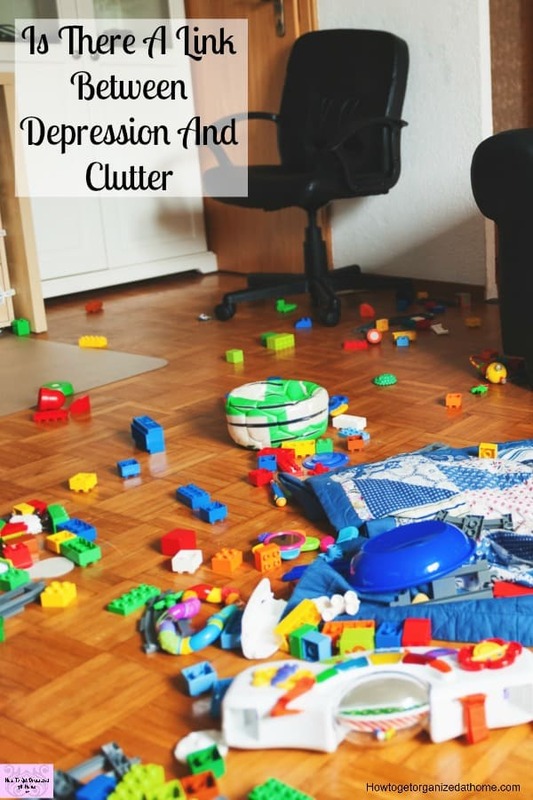 While there is no medical link between clutter and depression, it is understandable why many people connected the two. There are the extremes of clutter, described as hoarding, but for me, any amount of clutter becomes overwhelming and difficult to deal with. When the clutter becomes too much, it can feel like a weight wrapped around your neck, the longer you leave it the bigger it seems to become and it becomes too difficult to deal with. The symptoms associated with depression make dealing with normal daily living and maintaining your home even more difficult. It is not the easiest of feelings to describe, it is more than waking up in a low mood, or not wanting to take care of yourself. You must seek the help that you need if you are feeling any of these symptoms over longer periods. I know that it is not easy talking to your doctor and telling them how you feel but it is important that you do take this step. Unfortunately, there are no quick fixes! While there is no cure for depression there are medications and treatments that can help. They can help you find the way through the maze and the illness you are suffering from. One that isn’t mentioned as a symptom is clutter, however, that doesn’t stop a link! In some ways, this can feel an impossible task while for others it can make perfect sense; creating order where you might feel it is an impossible task can make life easier to manage. However, when you are feeling depressed creating order is not easy. The idea that you can actually complete a task seems impossible. But with practice anything is possible! Getting help and support while improving your daily life is important, you need the support of professionals to help to put you back on the right path to recovery. Taking it one step and one day at a time is important. For me, it was about creating a list, with basic tasks and taking my time but completing them during the course of the day. Getting your depression under control while becoming organized sounds like a mountain, but it is about taking those little steps forward. There are times that you might need to backtrack just a little and repeat some of the steps, but taking your time is key. It is important to start small, have an item that you want to complete in the day, something for yourself like taking a shower or an organizing task like washing the dishes. It is about taking it slow, it is building up routines that you are able to do; to begin with, they might take you all day doing a dish at a time but eventually you will accomplish the task and you will feel better and inspired to continue moving forward. The more you can do before becoming overwhelmed with the tasks will improve and soon you will start to feel more positive; but don’t stop there, continue on your journey, combating depression one-step at a time. I found cognitive behaviour therapy was a great help in my recovery! Clutter and depression is something that I have found is part of the same cycle, it doesn’t have to get bad for me to find an area overwhelming and something I really don’t want to tackle! How I cope is through managing the areas of my home, one area at a time. What you mustn’t do is rush out buying storage options as often this isn’t a long-term solution. You need to tackle the problem rather than finding another short-term solution. This cycle builds, it takes over how you feel and before you look around your house is out of control! I found this article on mental health that talks about the effect of depression and clutter, helpful! You have to break this cycle, and I found tackling one task at a time, even shutting the doors of the rooms I didn’t want to tackle because they made me feel worse! Do you think there is a connection between depression and clutter? Therefore, while there is no medical evidence to back up the concept of depression and clutter it does seem a link is obvious. However, clutter is not something that affects everyone who feels depressed, that is why depression is so difficult! I can understand the lack of motivation and effort to do the simple tasks but I know from experience that it is possible to move forward with the right help, support, and encouragement to improve your own quality of life. Looking for more information on depression? Why Your Depression Is Not Easy is a great place to start! Certainly in our family depression is heredity and has nothing to do with clutter or lack of organisation. My son is currently suffering depression and only through the help of a psychologist, medication, moving back home and changing jobs have we started to see an improvement. Mental illness is very difficult and complex health issue with no one simple answer. Hi Jo, thanks for sharing and I totally agree that there is not one simple answer for mental illness, what I share is my experience with mental illness and the thoughts and ideas that have helped me. I too take medication, have seen multiple health professions and I still want to share my thoughts to help others even if it is just to talk about mental illness and to help others who suffer from mental illness and to explain it to those who don’t understand the complexity of the illness. I hadn’t made the connection with depression and clutter before stumbling on your article today. I have lost a lot the last 10 years and now I just want t get rid of everything else and just surrender. I have been on meds for years. I feel so embarrassed about my cluttered house. THANK U 4 writing, I feel better knowing I am not alone. I am beginning to wonder if I am depressed, too. 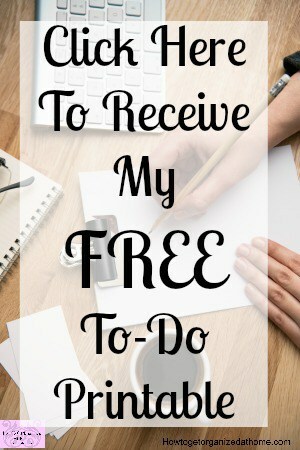 I am certainly lifeless on a regular basis, but inside I have many things I want to do and it is a struggle to complete even a few things on my to-do list. I do feel more able to do things after I have exercised or been for a walk, which I believe helps depression. 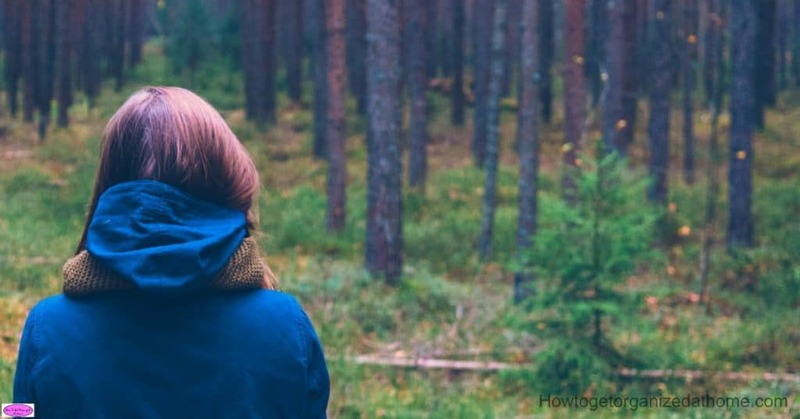 It is important that if you feel low and depressed that you seek help, there are many things that you want to do but it isn’t always easy to do them. HI Sharon, so many people do not understand the link. I have two rooms in my house that are totally cluttered up. Seems there is always something for me to do and I never have a place for my stuff. My husband and daughter are both disgusted that I can’t let go of things. I love crafts and hoard stuff like that. Not trash per say, like garbage, though they feel it is. I am personally a very neat and clean person in my hygiene, but never have time to really do what needs to be done to organize those rooms. My husband is demanding and requires a lot of attention. I cook most every night as is required and work a full time job, often brining home things from the office to work on, spending an extra two or so hours doing computer work because there are so many interruptions at work, I can’t complete all my tasks. I am 5:30 and usually to bed by 11:00, yet is seems all I can get done is cooking, washing clothes. Of course, during those two or three hours I try to do the work from work, he is interrupting me wanting my attention. I feel overwhelmed most of the time. My boss at work is kind but very needy and my husband is very needy, so I get no reprieve to speak of. I seldom have anytime for myself. My daughter is grown and married so I no longer have a little one to keep up with. I don’t know how I managed to do so much in my 30’s and 40’s. I worked two jobs, raised my daughter (very little assistance from my husband), cooked, kept my house pretty clean back then, and I guess you know the rest. Bless you Jan, I know how you feel and I am sure that you do a great job. I feel for you working all those hours, have you talked through how you feel with your doctor? I want you to know you are not alone! I was in that same situation. I still struggle with depression and feeling overwhelmed, unmotivated and exhausted 99% of the time. One thing that helped me was a book called, “Boundaries” by Dr Cloud and Dr Townsend. It taught me how to love myself and allow other adults in my life to be accountable for themselves. It taught me that I’m not responsible for anyone else’s happiness or neediness going unfulfilled. I was severely psychologically and physically exhausted by the time I read that book. I do believe it saved my life. I am making progress with clutter. It’s slow. But it’s progress. Hang in there. Love yourself. I feel there is a clutter/depression link. AS I’m slowly purging my clutter, I find I’m feeling more and more lighter. Also, I’ve changed my eating habits to healthier at the same time. When I had had 2 babies, all I could do was lay on the couch, and feed them instant oatmeal. The depression and hypothyroid diagnosis bothered me. But at least then I could prove I wasn’t just lazy. I’m enjoying reading your articles. Thank you for your comments 🙂 I have been there too! For me, depression and clutter are connected. The more depressed I get, the worse my house gets; the worse my house gets, the more depressed I become. It’s a vicious cycle. I’m trying to take out a bag of trash every day and focus on one room at a time. That way it’s not overwhelming. It’s so circular! If the depression is worse, the clutter gets worse… then you feel more overwhelmed and the depression gets worse. Thank you for writing this. I’m doing very well now, but this reminds me very much of some really hard years. It’s good that there are people like you writing about this so people who are going through it know that they are not the only ones. Thank you for your kind words! I just hope to reach one person who needs to hear this message that they are not alone! It is such a difficult time!